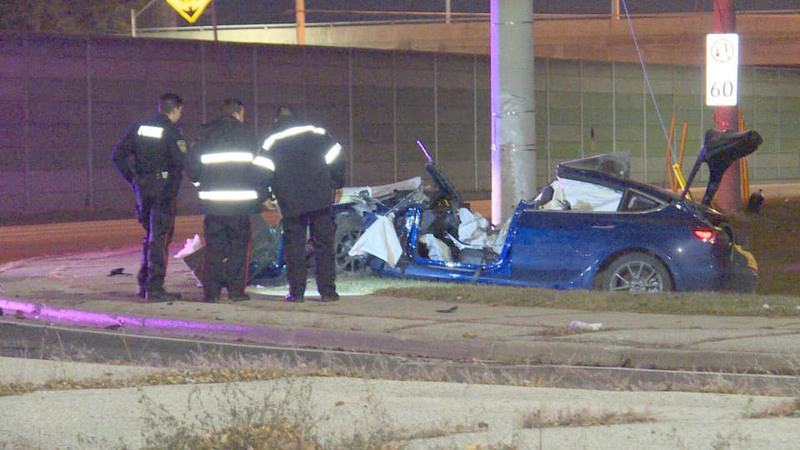 Mississauga, Canada: A Tesla Model 3 crashed into a pole where ‘speed’ is a factor according to an initial police investigation. 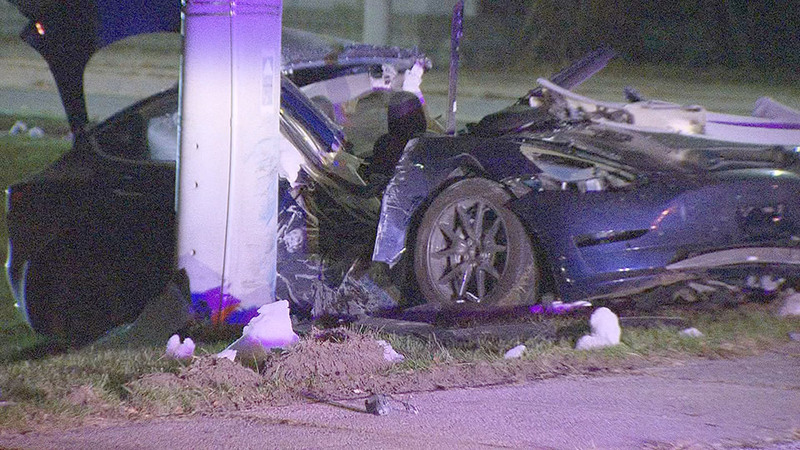 According to local news, the accident happened just before 1:00 am on Wednesday. 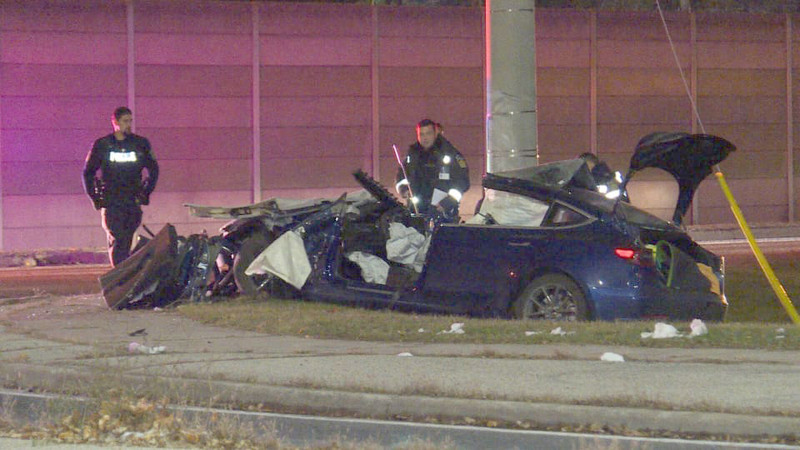 The driver of the blue Tesla Model 3 has survived but with serious injuries according to news sources, which are scarce at the moment regarding the incident. This Model 3 crash seems to be the worst we have seen so far (more pics below) — the entire glass roof has been wiped out and the car seems to have bent from the middle but still, the pole was not able to break into the car thanks to the rigid battery-pack floor of the electric vehicle. NHTSA historical car safety data shows that Tesla Model 3 has the lowest probability of injury which means this is by far the safest production car on the planet, otherwise the severity of the crash suggests that this incident could’ve been worse. Tesla Model 3 earned a 5-star safety rating in every crash-test category including the Side Pole Crash Test (all videos here). And for the ‘curious minds’, the battery pack didn’t catch fire nor any sign of Autopilot engaged is yet reported. Iqtidar Ali is a long time web developer and now writing for his childhood passion 'cars' further boosted by the advent of electric vehicles especially Tesla.